Nature works in such wonderful ways that are far beyond our abilities and comprehension. Whether the stunning blue lakes or the majestic mountains, they are all nature’s best works that beautify our world in profound ways we can never achieve. 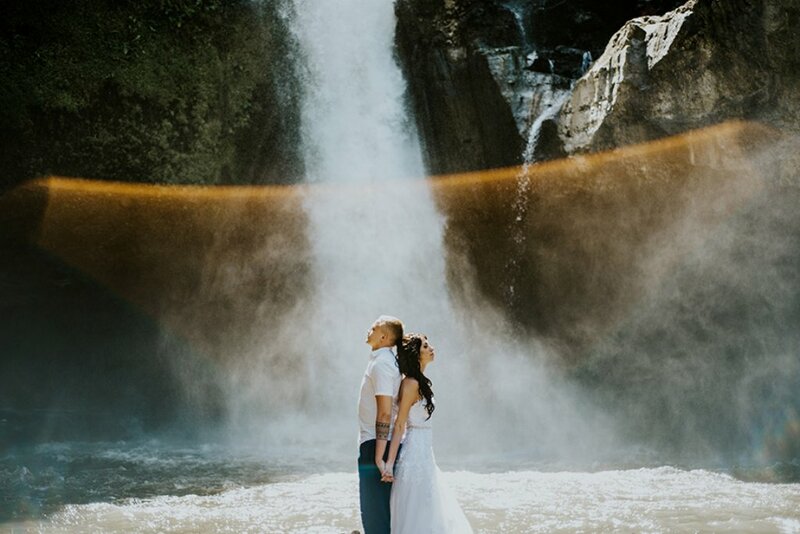 These natural gems that exist at every corner are extremely popular places for pre-wedding photoshoots as there is simply no better backdrop than nature’s own. Here are our 8 favourite places around the world that looks absolutely breathtaking. Coromandel Peak is the best place for a view that will make your heart skip a beat, literally and metaphorically. Located 1200m off the ground, you will never be the same again after looking at the extraordinary sight from the top of the world! This is the top on our list for pictures that will awe all your friends and family! Jeju is a relaxing island located near Seoul where you can admire some of the most lovely flowers throughout the year. However, our favourite place for a photoshoot is actually the dense Saryeoni Forest. The dark and mysterious atmosphere inside the forest is the most ideal location for an unconventional boho-themed photoshoot! It is especially stunning during winter when the dark surroundings are juxtaposed with a bed of pure white snow! If you are looking for the best mix of nature and culture, Japan is just the place for you! Most people never expect to find such a gorgeous lake around in this modernised country but this hidden gem exists somewhere in the outskirts and is definitely worth a visit! One of the most popular places in Japan, many tourists visit Nara just for this renowned deer park with thousands of free-roaming deers! This is also the most popular place for a pre-wedding photoshoot because these adorable companions add such an lovely touch to your photos! The sunset on top of the hill is an art of its own as the myriad of colours dance around the evening sky. Korea is home to many different parks and every one of them has their own beauty. Out of all of them, Haneul Sky park is definitely one of the most spectacular! The reeds field is so immensely dense that the photos look overwhelming on its own. We can’t even imagine looking at it in person! If every country is Nature’s work, New Zealand is definitely its best masterpiece. Surrounded by all sorts of beauty, you will never have enough of the sights here! Tasman glacier is the biggest Glacier in New Zealand and you can witness the majestic mountain of ice throughout the year. What makes it even more beautiful is the icy blue Tasman river that is decorated with icebergs in Summer and freezes over in Winter. 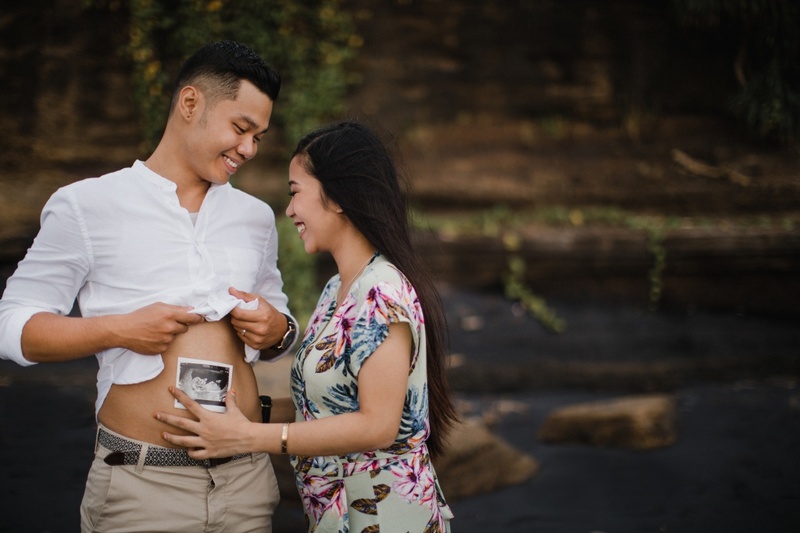 The most popular volcano in Bali, Mount Batur is the most picturesque place for a pre-wedding photoshoot. From the lava fields at the bottom of the volcano to the panoramic view at the top, “stunning” does not even begin to justify the photos taken here. If you are on a budget, this place will suit both your financial and adventurous needs. After a fulfilling day of eating and shopping in Bangkok, head out to the nearby cactus forest that are what Instagram-worthy photos are made of! This charming desert-like place is so perfect for an unconventional and chic pre-wedding shoot! 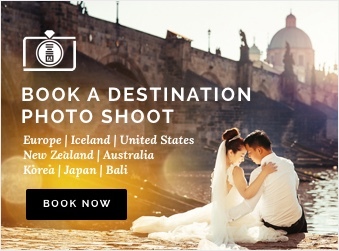 Are you looking for a photographer to capture you on your great adventure? OneThreeOneFour knows all the hidden gems at each destination inside out so let us bring you to all the best places! Head over to our website for more information on our packages now!